A thoroughly revised edition of the classic on creativity, essential for individuals and teams who want to think outside the box. Some people are naturally creative and others aren't, right? Wrong. In this classic book on creativity, James Adams takes a unique approach to generating ideas and solving problems that has captivated, inspired, and guided thousands of people from all walks of life to new heights of creativity-whether you are a writer with writers block, or a businesswoman struggling to come up with a new organizational structure. 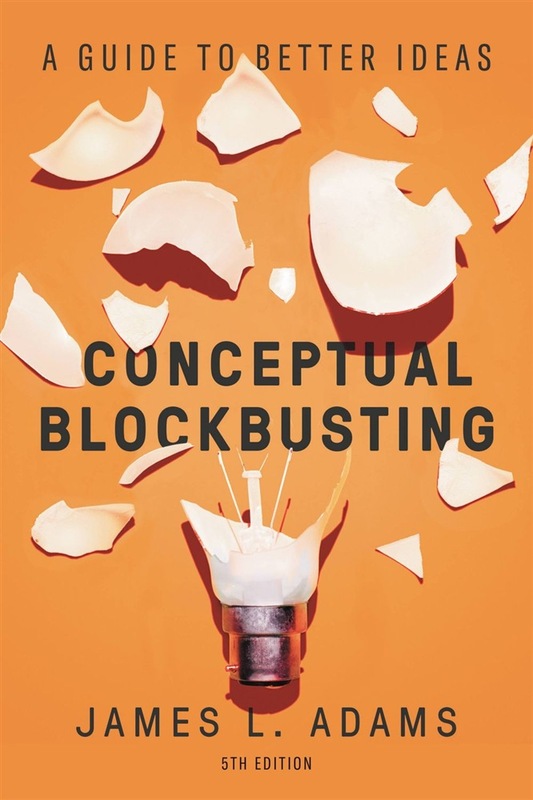 More than three decades after its original publication, Conceptual Blockbusting has never been more relevant, powerful, or fresh. Integrating insights from the worlds of psychology, engineering, management, art, and philosophy, Adams identifies the key blocks (perceptual, emotional, cultural, environmental, intellectual, and expressive) that prevent us from realizing the full potential of our fertile minds. Employing unconventional exercises and other interactive elements, Adams shows individuals, teams, and organizations how to overcome these blocks, embrace alternative ways of thinking about complex problems, and celebrate the joy of creativity. Completely revised and updated with the latest cognitive science and addressing new subjects such as changes in technology, creativity in large groups, and sustaining creativity over time, Conceptual Blockbusting will introduce a new generation of readers to a world of new possibilities. 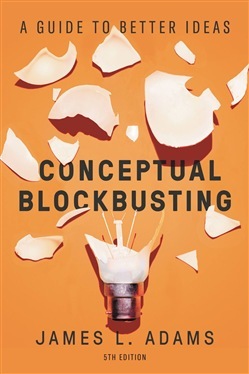 Acquista Conceptual Blockbusting in Epub: dopo aver letto l’ebook Conceptual Blockbusting di James L. Adams ti invitiamo a lasciarci una Recensione qui sotto: sarà utile agli utenti che non abbiano ancora letto questo libro e che vogliano avere delle opinioni altrui. L’opinione su di un libro è molto soggettiva e per questo leggere eventuali recensioni negative non ci dovrà frenare dall’acquisto, anzi dovrà spingerci ad acquistare il libro in fretta per poter dire la nostra ed eventualmente smentire quanto commentato da altri, contribuendo ad arricchire più possibile i commenti e dare sempre più spunti di confronto al pubblico online.